Are corporate team building activities worth the time and money? Read on! If you’re looking to expand your brand, nurture great company culture, and set yourself apart from competitors, then yes, it’s a great investment! Team building activities provide the opportunity for your employees to grow together and hone their skills. These events also encourage communication, problem-solving, creativity, and collaboration. Not only do team building activities support employee growth, but it’s also an excellent investment in the structure of your business. The results of a positive team building experience could be the first steps toward positive change in your company’s culture and, thus, your brand. HOW DOES TEAM BUILDING AFFECT CORPORATE CULTURE? According to Office Ninjas, team building activities help both new and established groups. Newer teams have more room for improvement and discovery during these activities. Established teams already know each other and probably have some ideas how they work best. For these groups, team building activities improve productivity by translating exercises into performance-boosting strategies. Team building activities come in many forms. They could be as simple as presentations or feedback meetings to outside workshops and fun, engaging activities that teach and refine skills. It’s important to know exactly what you want out of your team building activity and provide clear expectations and goals for your team. Also, debriefing the team afterwards allows them to use the experience as a learning and unifying tool. Company culture and brand go hand in hand. It all comes down to the happiness and productivity of your employees. Before you start planning your company’s next contest or competitive game, consider this: team building activities are meant to bring people together and create an environment of collaboration. Competitive elements have no place in team building activities. This has the potential to distract from the activity’s purpose, bring out the worst traits in some participants, and negatively impact your corporate culture. Adding a little competition may seem like a good idea because it motivates some to focus and get involved in order to win. Unfortunately, competition has the potential to bring out the worst in people. If competition gets too heated, tensions and dislikes could make their way into the office. If the sole goal of a team building activity is winning, it is impossible for everyone in the group to achieve it. Half the group may have a prize or bragging rights while the others leave the “team building” activity feeling inadequate. If that’s not enough, people learn less in a competitive atmosphere. Research has found significantly higher achievement rates in cooperative environments as opposed to competitive ones. Groups that work together are more likely to apply the skills they learned to their day-to-day duties. This is why our focus is to find common ground where all of your employees have a chance to make an impact. At Unique Team Building, our packages focus on creating trust and respect rather than setting apart the “winners” and the “losers.” Your company’s culture is built on how your employees feel about work and how they get along and your brand is directly influenced by the harmony (or lack thereof) in the workplace. 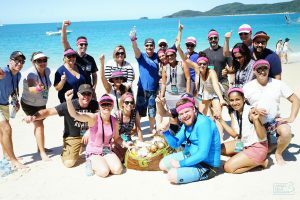 Everyone comes away a winner with the help of Unique Team Building events. One for all and all for one! A negative work environment can demoralize your employees and drive down productivity. This is often due to poor communication, a lack of unified goals, and poor motivation. When your team is happy and focused, your business will reap the rewards. Imagine your company’s productivity when your team is communicating effectively and working together to solve problems and achieve goals. High performing teams are better at reaching goals because they challenge each other, collaborate and share ideas, hold each other accountable, and provide feedback in a meaningful way. Unique Team Building offers a variety of indoor, outdoor, and inspirational opportunities for your employees to develop and grow. 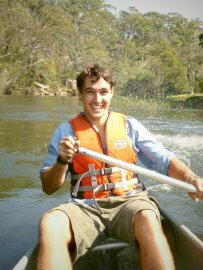 Our programs range from a couple of hours to extended weekend trips throughout Australia. We understand that every team is different, so we offer collaborative planning to help you determine your need and goals before creating a custom solution just for you. Contact us to find out how we can shape your staff into a productive team that will help your business grow and thrive.